Summer is coming, which means it’s time to start making plans for how you’re going to spend your vacation. The good news is that there are a lot of mobile apps out there that can help you figure out where to go, when to go there, and what to do once you arrive. Today we’ll be taking a look at some startups and mobile apps we think every traveler should know. Let the journey begin! 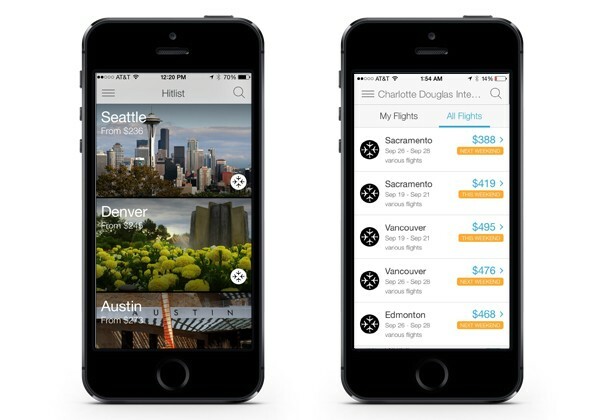 For those of us who love to travel but hate spending hours perusing ticket websites for the best airfare, there’s Hitlist. The Hitlist experience begins with building a list of places you’d like to visit manually, or choosing from recommendations that appear «Tinder Style» with basic information about baseline prices. Since Hitlist is integrated with Facebook, the app can also tell you which of your friends live in the destinations you’re thinking about travelling to. This is a super useful feature for when you need a couch to crash on. The big thing, though, is that Hitlist will send you alerts when there’s an awesome deal on plane tickets for one of the destinations on your «to visit» list-no more setting up alerts or switching between ten windows in your browser to find the biggest bargain. How does Hitlist do it? According to the company, «a proprietary deal-sorting algorithm that uses machine learning to sort the most relevant deals for each consumer.» The app also features a «functioning multi-origin flights search engine,» which is code for a way to help friends coordinate trips to the same destinations. Hitlist is a pivot from TripCommon, a travel services company founded by Gillian Morris and Timo de Winter in 2012. The team has received $500,000 in funding from different investors including Jeff Clarke, CEO of Eastern Kodak. Before that, the team scraped by with help from friends and family. 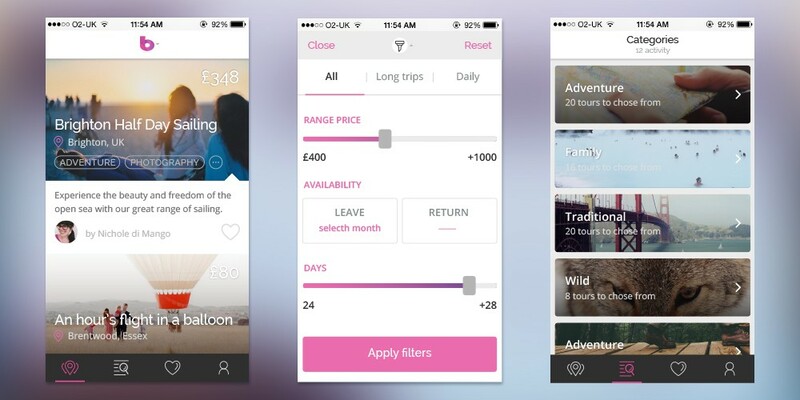 Tripcommon/Hitlist’s monetization strategy isn’t overtly spelled out, but I suspect they’ll benefit from affiliate fees from airlines, especially once they stop using a third-party, Skyscanner, for booking. If you’re a traveler with a smartphone, you’ll want to download this app from either Google Play or the App Store. It’s free. If you’re in the market for recommendations on where to go and what to eat when you’re in a new city, you might think you already have the perfect tools for discovery with Foursquare and Yelp. 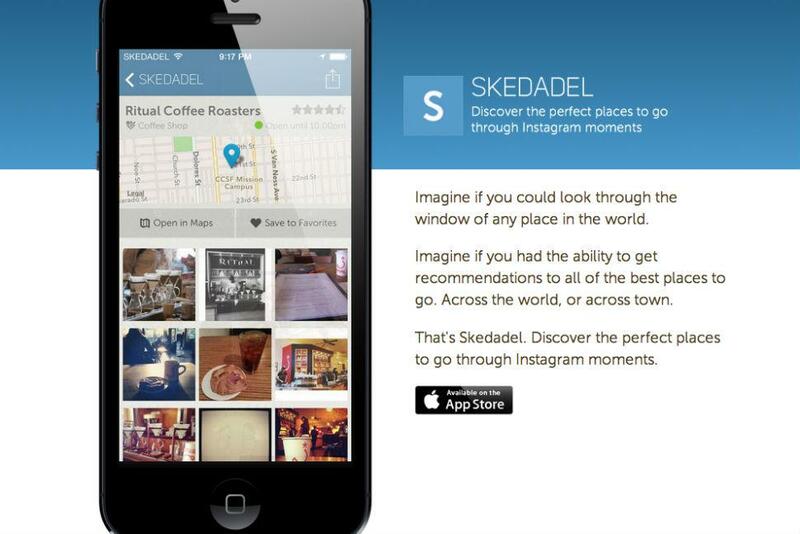 Sure, those apps are great, but you haven’t tried Skedadel yet. Like Yelp and Foursquare, Skedadel helps you figure out where to go for coffee or which Sushi place in Kansas City won’t kill you. The difference is that Skedadel does it all with pictures. Skedadel organizes geo-tagged Instagram pictures into different categories, like Food, Nightlife, Sights, etc., and arranges them according to popularity based on information it collects from Foursquare. Another cool feature is that locations are ranked by popularity at different times of day, so you know what places get the most breakfast traffic, or where everyone goes for munchies after the bars close. The app capitalizes on the fact that people love to take pictures of where they are and what they’re doing. Since this is a universal truth when it comes to 21st century man, the app works everywhere in the world. The upshot is a discovery app that is more visceral than those that give you endless reviews and ratings. Maybe I don’t want to read War and Peace to figure out where to go for dinner, when a few Instagram pics will do. Skedadel started in 2013 as a self-funded project from Seattle-based iOS developer Peter Boctor, but has since gone on to pick up 21 different investors and an undisclosed amount of financing. You can get Skedadel for free, but only if you have an iPhone. 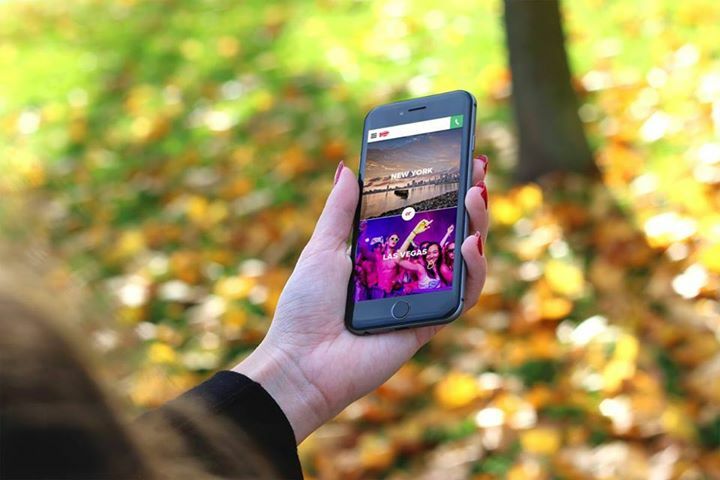 Travel season is coming, and if you’re thinking about heading to either New York City or Las Vegas this summer your best travelling companion might just be Headout, an app which connects tourists with tours and events happening within the next 24 hours. Users start with a list of activities grouped by category and backed up with reviews from Yelp and TripAdvisor. From there, booking a spot on a walking tour or a ticket to a Broadway show takes as little as 60 seconds and 3 taps. It’s perfect for adding a little-controlled spontaneity to your trip. The app also includes a «What’s Hot» feature that gives users a list of trending experiences, and integration with Google Maps so that users can actually find the tour they just booked. This is a great app in and of itself, but the economics behind it is what makes it brilliant. This is a great lesson for all you entrepreneurs out there. Find a hole in the market, and turn it into a great product. Currently, Headout is being funded by a $150,000 seed from 500 Startups, though I imagine it’s also making money through affiliate fees when users book tickets and tours through the app. Headout is available for Android and iOS. It’s free and limited to Las Vegas and New York. Expect to see new cities, experiences, and fans in this app’s future. In a lot of ways, the TravelNuts mobile app is a lot like Headout. Both apps give travelers a curated list of local activities and events. Both have in-app purchases that make it easy to be spontaneous on vacation. And both are free, at least for the traveler. The big difference is that TravelNuts is oriented at large hotels and travel agencies, who can use the app to sell ancillary services like room service, tours, and access to the forbidden fruit of the mini-bar. Hotels and local tour operators benefit from increased revenue generation, while guests benefit from the convenience of mobile purchasing and seeing all available options listed clearly in front of them. TravelNuts’ founding team is based in California, and composed of Groupon and McKinsey and Company alums Federico Menapace and Luca Beltrami. In June of 2014 the team received a $1.6 million investment from Kima Venture of Paris and California’s Stanford Start-X Fund. TravelNuts monetizes by charging its client hotels a subscription fee which starts at just $1 a room per month. There are also tiered service plans with plenty of optional features, like sending guests confirmation emails and a booking engine that integrates with in-house property management software. 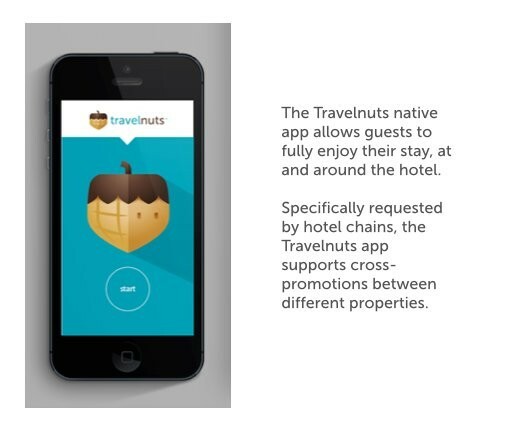 If you’re checking into a hotel anytime soon, check and see if they have a TravelNuts app available for download on your Android or iOS phone. The Belocal app is all about setting adventurers on the path less travelled by connecting them with local tour operators and guides who offer unique, local tours of cities around the world. Tour operators can register on the Belocal website, and post information about the tours which they offer (location, price, description, etc.) One tour offers cycling in the Loir valley for £ 74, while another offers a comprehensive tour of Belgium’s beer industry for $1200. The process is the same for independent guides, who like the tour operators are vetted by the founders before their offer goes live on the app. The great thing about Belocal is that users can both look through lists of tours, including a curated short-list based on a user’s interests, and book directly through the app. This means that an up-close-and-personal view of the city you’re in is only a few clicks away. Belocal comes to us from a pan-European team of avid travelers, who are operating with an undisclosed amount of financing. I expect that money won’t be a problem once the team starts collecting fees for bringing local guides and curious travelers together. Belocal is slated for release on Android and iOS later this Spring, just in time for backpacking season. Be sure to keep an eye out for it! If you’re thinking of building a travel app, there’s no better place to start your journey than Yalantis. We can help you plan, design, and build a mobile app that no traveler will be able to adventure without.